I-64/US Route 40 was the oldest highway in St. Louis. Over time, the highway and its 30 bridges had become so deteriorated, they had to be replaced. Limited funds, limited space, and a need to complete the project quickly to limit the impact of construction complicated the plan for how to rebuild it. 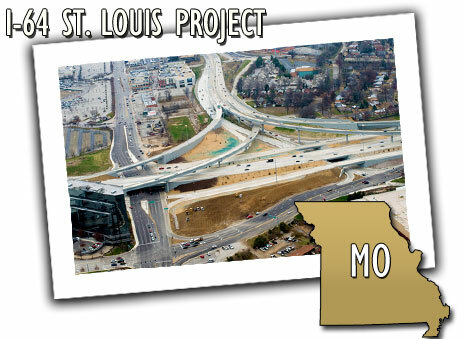 Anticipating public concern over the impending closing, in 2007, the Missouri DOT began public outreach and ad campaigns with suggestions to help survive the closure. This campaign greatly lessened the impact of the actual shut-down, which began in 2008. In December 2009, I-64 reopened to traffic nearly one month early and $11 million under budget. A survey taken at the end of the project found that 95 percent of the public was satisfied with how the project had been handled. Now more than 150,000 vehicles use the highway each day.